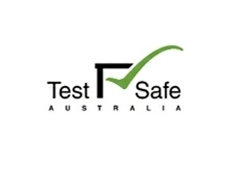 TestSafe Australia is an internationally recognised testing, certification, research and investigation facility. It is the largest of its kind in the Southern Hemisphere and is one of a small number of such facilities worldwide offering benchmarked testing and certification services to a wide range of industries. 12/05/08 - Testsafe- Londonderry Branch provides testing and assessment services for workplace safety. Testsafe- Londonderry Branch provides environmental testing services which include IP testing, impact testing, pressure testing, temperature and high humidity testing, flammability testing and motor efficiency testing. Testsafe- Londonderry Branch provides fire and explosion testing, accident or incident investigations and research etc. Fire and explosions testing services from Testsafe- Londonderry Branch includes fire testing, fire fighter training, explosion testing, fire explosion facilities, safety research, safety and incident investigations. Mechanical testing solution from Testsafe- Londonderry Branch includes conveyor belts, containers and packaging, electric cables, diesel engines, facilities hire, electric cables, fire extinguisher testing, fire testing, hazardous area equipment testing, hydrostatic testing, load testing, scaffolding, vehicle lifting devices, standards committees, safety and incident investigations, ladders, railings, fences and roof edge protection. Testsafe- Londonderry Branch provides testing and assessment of personal protective equipment. Occupational protective helmets, respirators, gloves, safety eyewear and protective clothing are tested and assessed. Testing facilities include automatic filter test machine, large gas tight chamber, gas test rigs, penetration test machine, helmet shock absorption, simulated breathing machines and visor impact test rigs etc. 09/05/08 - Testsafe- Londonderry Branch offers solution for enhancing the workplace safety level. Testsafe- Londonderry Branch tests the electrical equipment in compliance with the national and international safety standards. The test reports are provided includes the independent proof of testing and certification of explosion protected electrical equipment. Testsafe- Londonderry Branch provides explosion protection for intrinsic safety by offering testing and assessment of any type of electrical equipment. Explosion protection solution from Testsafe- Londonderry Branch includes assessment of designs and documentation related to the equipment which complies with the International, Overseas and Australian standards. For obtaining the Certification of electrical equipment, an application form is required to be submitted along with printed circuit board layouts, complete circuit schematics, simple mechanical drawings and interconnection drawings. Testsafe- Londonderry Branch also provides electrical equipment testing like explosion protection- flameproof, explosion protection for other techniques, degree of protection testing, on-load testing for electrical, etc. Other types of certification and testing includes cable glands, battery operated vehicles, special protection, fuel dispensers, caplights, ventilation, etc. Testsafe- Londonderry Branch provides extensive solution which adheres to the quality standards and specifications for safety. 08/05/08 - Testsafe- Londonderry Branch provides testing, research, certification and investigation facilities for improving the workplace safety level. Testsafe- Londonderry Branch offers wide range of testing services which includes calibration, fire and explosion, electrical, mechanical, wire ropes and personal protective equipment. Testsafe- Londonderry Branch maintains in-house laboratory group for servicing for instruments and equipment. Testsafe- Londonderry Branch’s laboratory calibrates a diverse range of environment measuring and workplace equipment. Testsafe- Londonderry Branch’s calibration laboratory maintains and calibrates the equipment for WorkCover New South Wales, TestSafe’s laboratories and commercial customers. A wide range of calibration services includes pressure, gas analysers, air flow, torque wrench, non destructive rope testers and linear dimensions. Testsafe- Londonderry Branch provides calibration service for pressure gauges ranging from 10 Pa to 40 M Pa, liquid manometers, pressure transducers including dynamic, static and associated equipment, electronic micro manometers. Air flow calibration services includes Vane anemometers with wide range of diameter, rota metres from 20 cubic centimetres to 100 L per minutes, gas and vane type flow metres and thermo-anemometers from 0.3 to 30 metres per second.